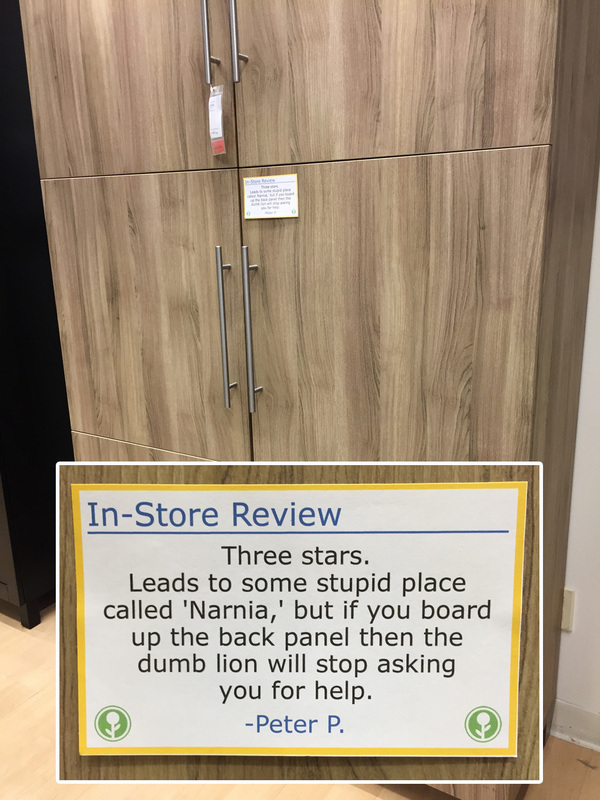 Shopping at IKEA is a lot like attending Christmas at your stepdad's house: You spend all week wondering what you're going to get, but the minute you step inside, you wonder whether or not the trip was worth it at all. 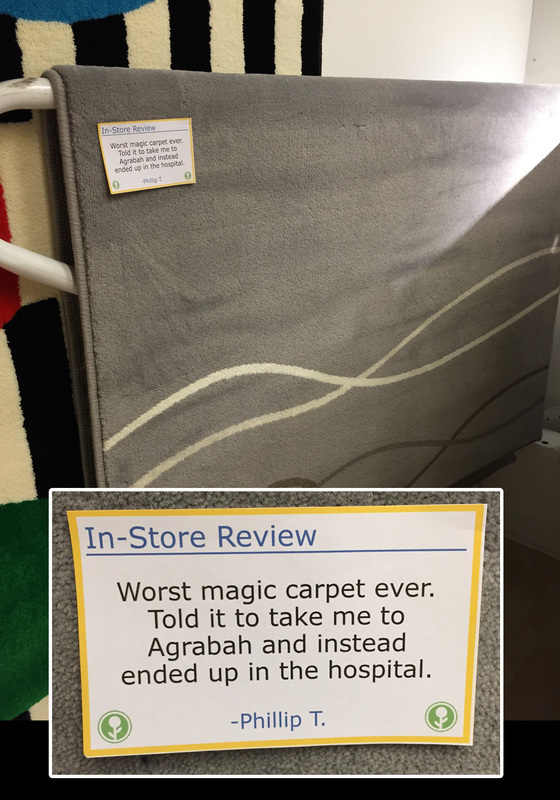 Some thoughtful and presumably unemployed genius selflessly made the IKEA experience just a little bit better by printing fake testimonials and attaching them to IKEA's showroom merchandise. Based on the photos posted to Imgur by user obviousplant, few items were safe from the phantom reviewer's wrath. 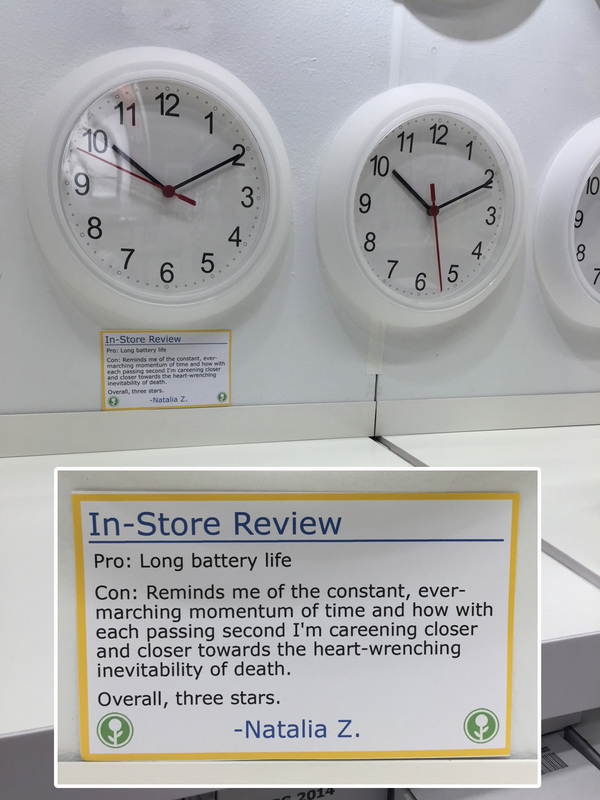 Wall clocks? I hope you weren't planning on walking home alone tonight because you're NOT SAFE. Trash bins? NOT SAFE, "Indiana Jones" edition. 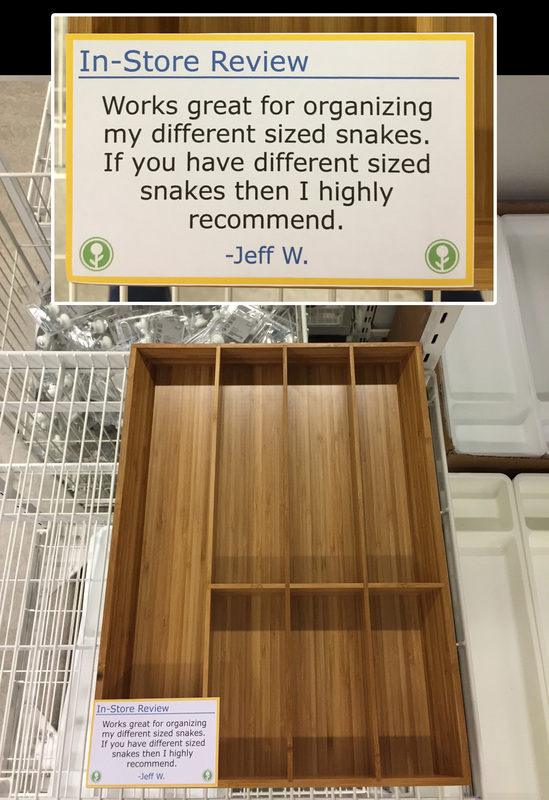 Wooden drawers? NOT SAFE, "Indiana Jones 2: No One Can Save You" edition. 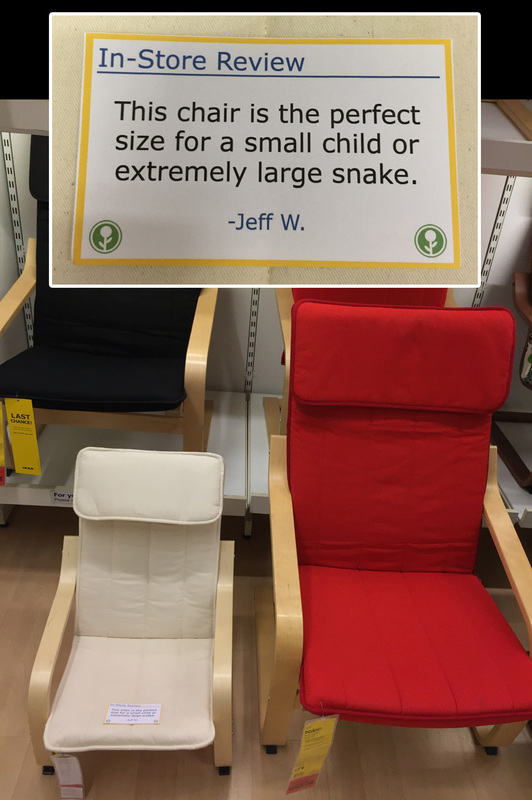 Decorative chairs? NOT SAFE, "Indiana Jones 3: Look Out! Look Ou -- Too Late" edition. 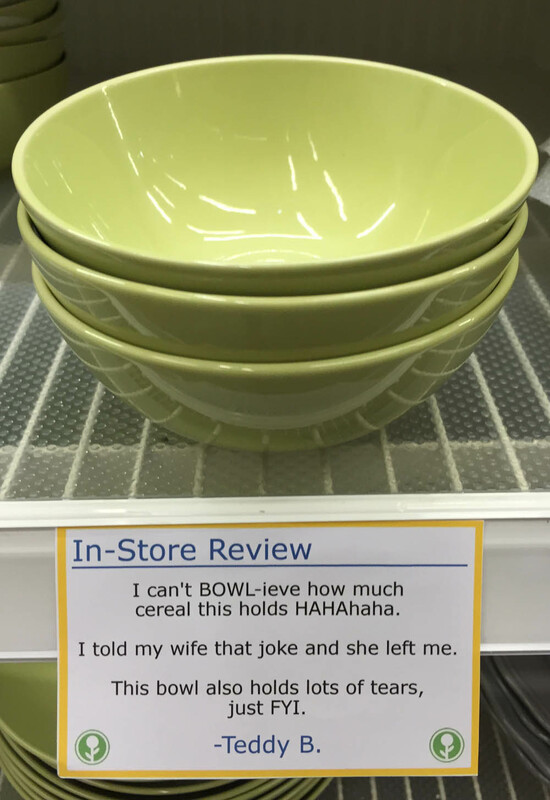 Cereal bowls? Keep your heart guarded because love is war, and you're NOT SAFE. Wardrobes? You can try hiding out at Mr. Tumnus' house, but you're still NOT SAFE. 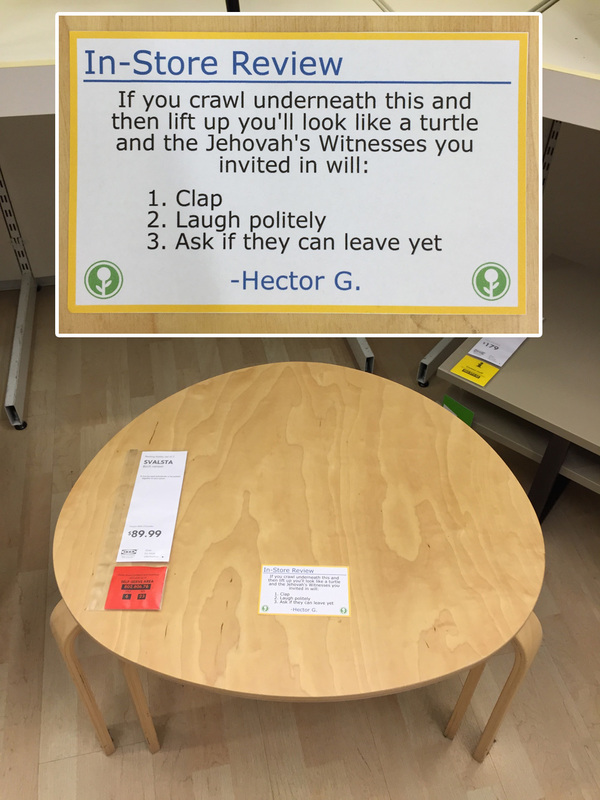 Coffee Tables? Knock knock. Who's there? Not. Not who? NOT SAFE. 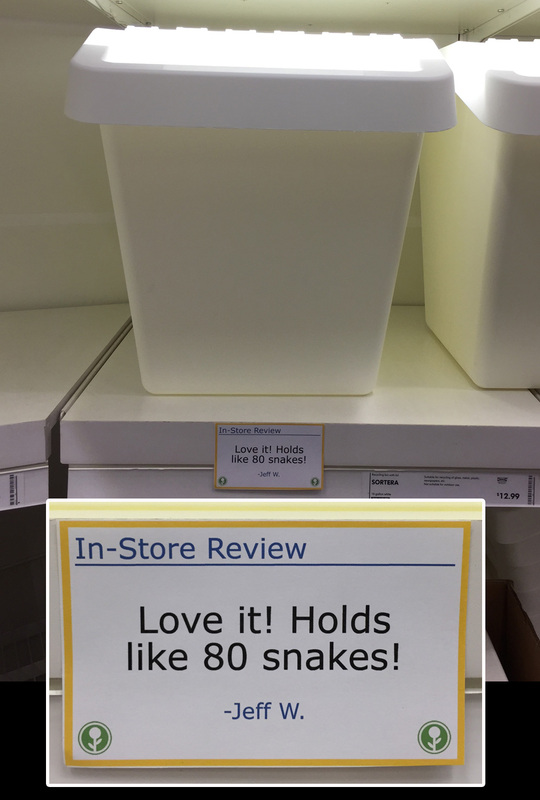 Hanging lamps? 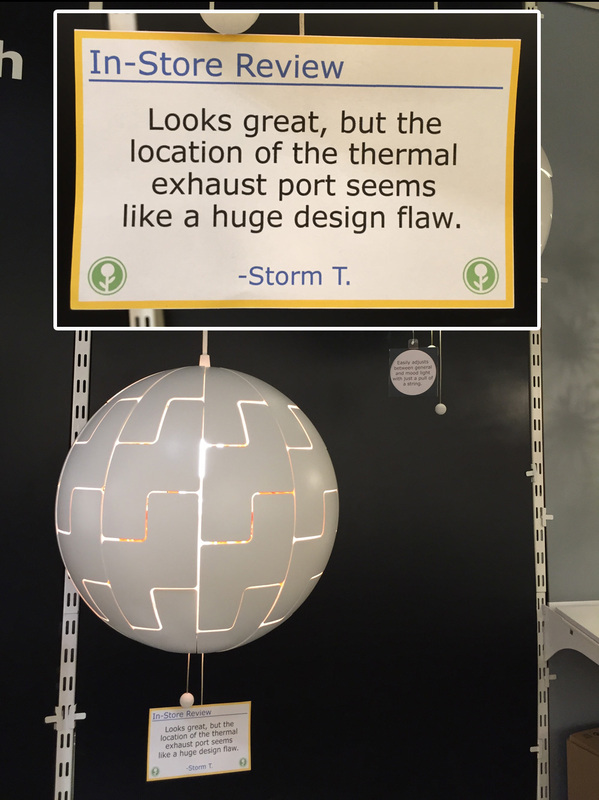 It should come as no surprise something shaped like the Death Star is, ultimately, NOT SAFE. 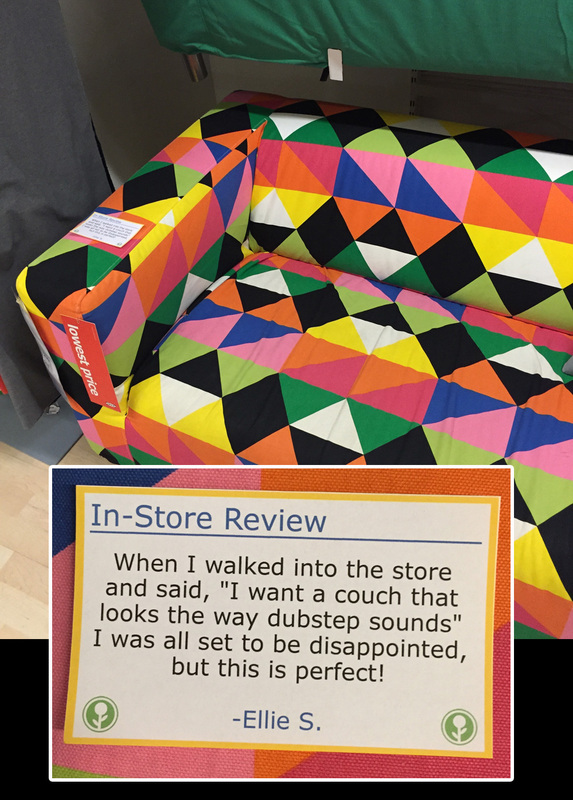 The IKEA Faux-Review Massacre of 2015 will be a historic moment I hold close to my heart until the end of time.